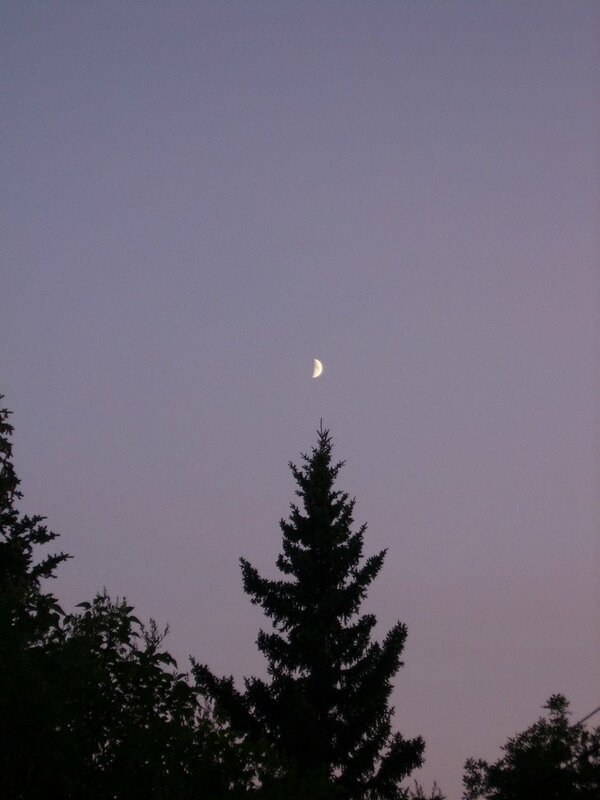 …tonight was perfect for a bonfire (the smoke hovered over the garden) and less than half a moon hovering like a star above the tree. 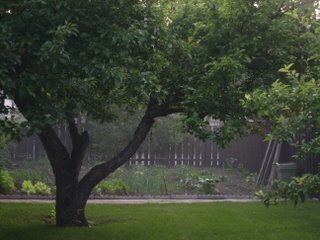 The smoke that hovers over my garden off and on is from forest fires. We had a bit of haze from the forest fires last week. Too breezy this weekend.